FARMINGTON - Susan Loughrey, director of Physical Rehabilitation and Sports Medicine at Franklin Memorial Hospital is pleased to announce that Heather Patterson, PT, DPT, was recently awarded a Doctor of Physical Therapy (DPT) degree and a certificate in Rehabilitation Administration from the University of Montana. Although the DPT is now the entry level education requirement to practice as a physical therapist, many PTs with bachelor and master’s degrees were grandfathered when the entry level requirement changed. The University of Montana collaborating with Rehab Essentials offers a transitional program for physical therapists wanting to complete a DPT program through distance learning. Patterson completed 33 credit hours of coursework over two and one-half years in areas including medical screening, medical imaging, pharmacology, ethical and legal issues in practice, clinical decision-making using the patient client management model, business and marketing, professionalism in an autonomous profession, evidence-based practice, and research and professional scholarship. 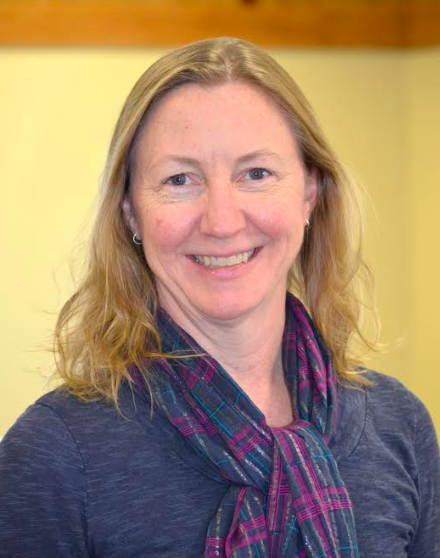 Patterson who started working at Franklin Memorial Hospital in 1998, completed a capstone project prior to her graduation on a proposal to provide consistent referrals to women’s care physical therapy providers for women with pelvic health concerns three months following childbirth. Heather joins other DPTs on the FMH physical therapy staff including Marco Madison, PT, DPT, Jon Abell, PT, DPT, Stephanie Fahy, PT, DPT, Darren Roundy, PT, DPT, Annie Gray, PT, DPT, and Morgan Chatellard, PT, DPT. It is anticipated that Rebecca Gagnon-Pillsbury, MSPT will complete her advanced degree in the spring. Congratulations Heather! Strong work! And to all the rest of the crew - we have a great PT/OT/Speech department at our hospital. Congratulations! All of us old timers are going to need you more and more as we slip and slide around in our "GOLDEN YEARS." The best to you Heather. You worked very hard getting that degree while still being a wife, mother, and working full time!!! You do such incredible work and have such a heart for your patients which is very much appreciated. We are blessed to have you here in Farmington!! !